As a designer, you are not required to take your own photographs. However, you should know how to choose the best ones. You need to know how to look at images critically and understand their purpose in order to complement your message. With over 45 million royalty-free, high quality images in Adobe Stock’s collection, you need to have an eye for stock photography. A great way to train your eye for Adobe Stock photos is to know what is out there. Do not settle for what you see on the first pages of your search. 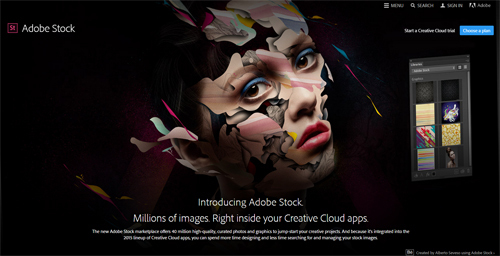 Keep in mind that Adobe Stock has millions of images in its collection. While you may find what you are looking for on the first page, try to browse through pages 2-7, you might find a more fitting image for your theme and design. History is also a great way to learn how to choose the best Adobe Stock photos. Research about the best photographers in the world and see what kind of images people have connected for centuries. Check for fundamental components such as framing and dominance. Framing is concerned with the perspective and perception of the viewer. It draws attention to the subject by blocking other parts of the image. Dominance, on the other hand, is giving emphasis on one or more particular elements of the image. It creates a focal point on your design. Consider lighting and color. Lighting is an important part of setting the tone for the scene. It controls the image and gives accurate rendition of the scene. Another thing you should consider when choosing the best Adobe Stock photos is the rule of thirds. This guideline proposes that an image should be divided into nine equal squares and its important elements should be placed along these lines or their intersections. The rule of thirds creates more energy, tension and interest in the image’s composition. You should also make sure that the positioning of the image allows for some overlay text or logo. It is also important that the overlay is not too much so it would not convolute the subject. 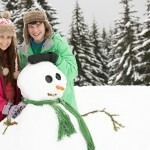 Overall, the combination of the above mentioned elements creates world-class Adobe Stock photos. Once you find the best for your creative projects, you can purchase the choices that meets your creative needs and budget. Even if you already found the perfect photos, you can still make them amazing by managing them directly from your favorite photo-editing software. If you are a Creative Cloud member, you are entitled to 40% when you add your order to your Creative Cloud subscription. adobe stock photos, adobe stock tips, adobe stock training, how to adobe, introduction to adobe. Bookmark.